Florida Living! You can open windows to let the breeze through this upstairs 2 bdrm 2 bath end unit that has a bonus room that closes off with sliding glass doors. All appliances included. The home was nicely remodeled 2 years ago with new kitchen cabinets & counters, range, hood, dishwasher, flooring and fresh paint. Refrigerator has an ice maker. The A/C is on a maintenance plan that is transferable to a Buyer. New hot water heater April 10, 2019. The property features a heated community pool w/ a spacious gated pool area with loungers & a screened room. Recreation room on site. 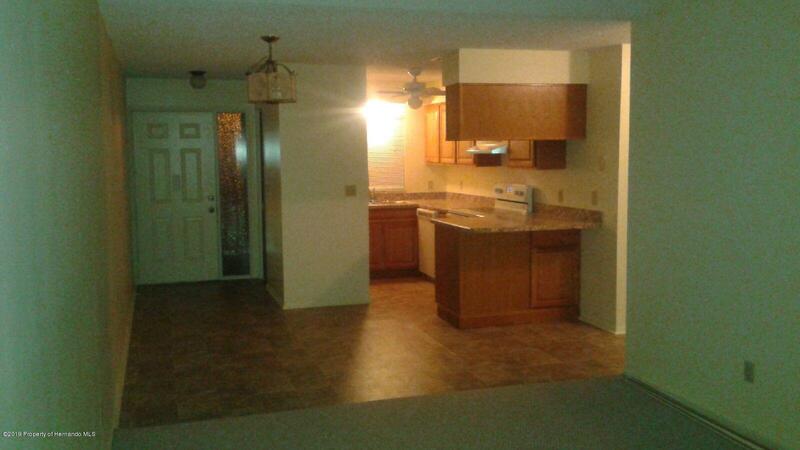 Greenbrier Lake Condominium is an attractive well maintained property!. Repaired Settlement Documentation, Insurable. Location provides access to amenities within walking distance & is on THE BUS Route.